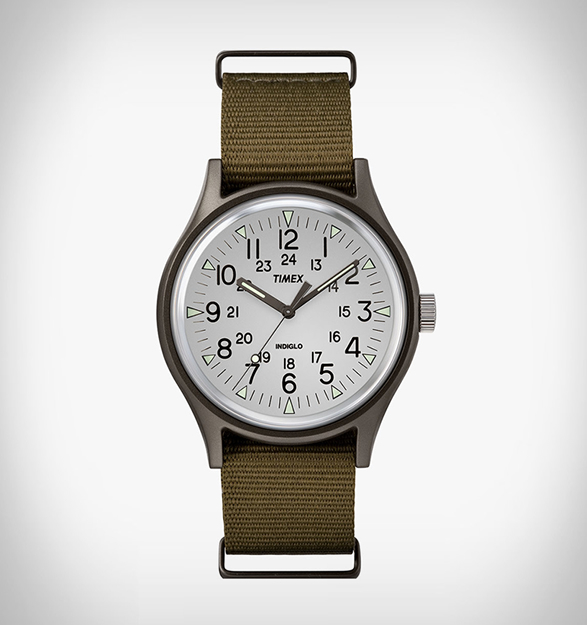 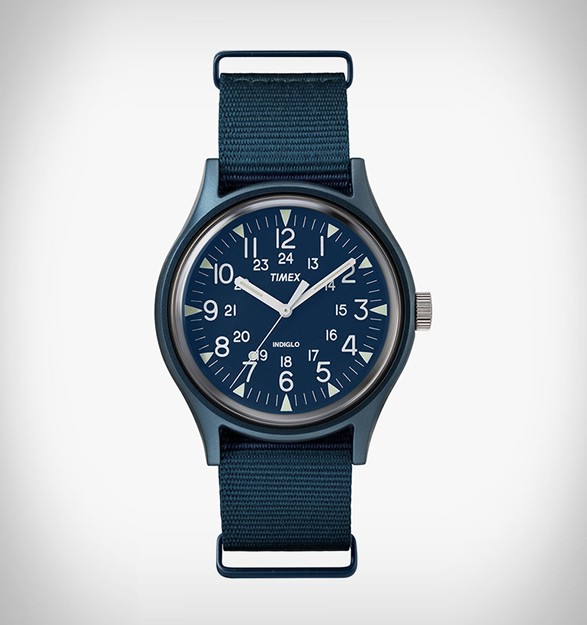 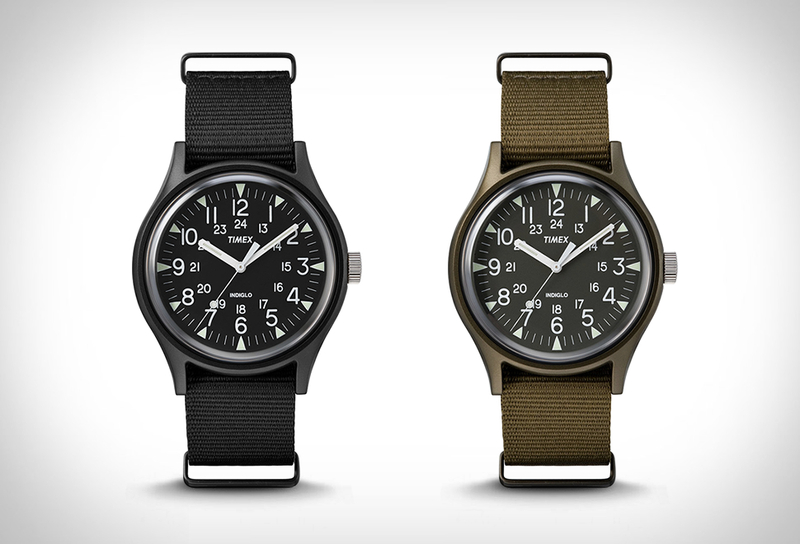 Timex have revived the iconic MK1 Military watch with an aluminum case. 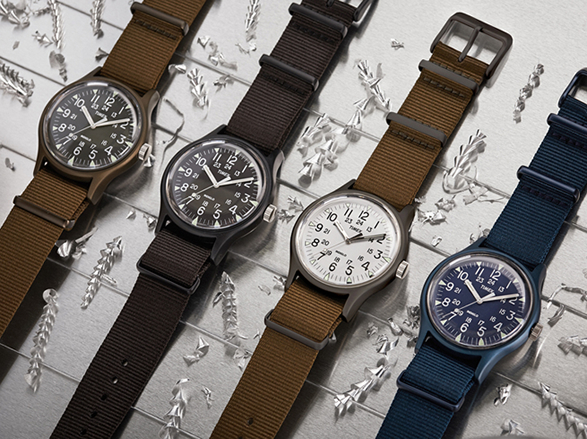 The MK1 Aluminium stays true to the original watch, but instead of plastic, it now features a grade of aluminum to ensure the lightweight nature. 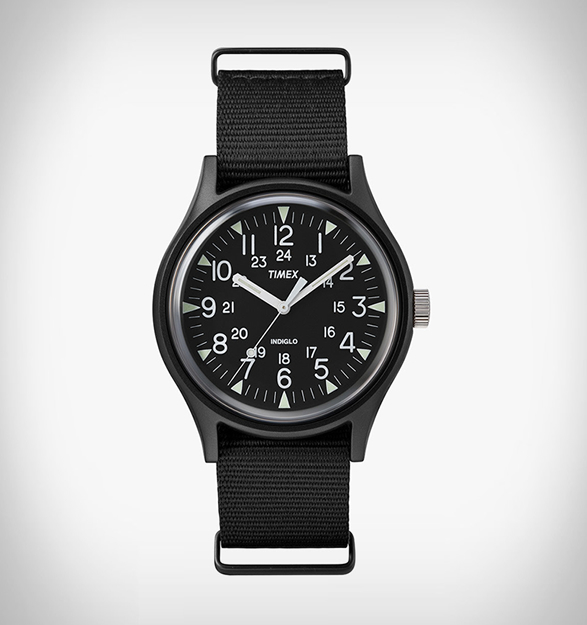 It features a simple shape and a utilitarian 24-hour dial, a 40mm case, indiglo illumination, a nylon strap, a quartz movement and has a 100-meter depth rating. The very cool looking watch is great for those of you that fancy military style watches but don´t want to spend to much money.